Assemble your car in 5 minutes! Kit includes everything you need; just insert axles/wheels, graphite your axles and you are ready to race! "I did not have the tools our skill to build a car, but wanted my son and I to be able to be proud of a car we worked on. This worked perfectly and it was the best experience." Assemble your Red Shark car in 5 minutes! 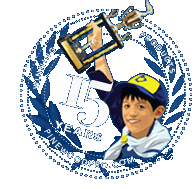 Kit includes everything you need to assemble a BSA compatible pinewood derby car. Always read your rules! If your rules say that you cannot "lathe" the wheels, or that you cannot make any changes to the wheels, then consider our Grey Ghost or Lazer cars and then pick axles and use your unmodified wheels.